If you were us, what would you be talking about? Every other year, in the interim between the last legislative session and the next one, both chambers of the legislature continue to work. A lot of what we work on falls in the category of interim charges or interim studies. They’re a little like extended research projects: we spend time meeting (typically as committees) and learning about subjects that the Lieutenant Governor (in the Senate’s case) or the Speaker of the House (in the House’s) put on a list of things to review and analyze. The studies help set the priorities for the ensuing legislative session. Obviously, these are (as Ron Burgundy would say) kind of a big deal. And the members of the Senate Democratic Caucus think they’re too important to leave to the folks who’ve been failing to deliver on Texans’ priorities for all of these years. So I and the other Democratic Senators want your help in deciding what those priorities should be. The Caucus has set up a web page where you can give your thoughts on what Texas should be focusing on in this interim. Just go to bit.ly/14PzGfq and let us know what needs to be on the list. There are so many areas where Texas can do better – for our kids, our economy and our future – than it’s been doing. This is your chance to help make sure the state’s priorities are where they need to be. Please CLICK HERE and let us know what you think. Texas needs to hear it. I’ll be sure your ideas are submitted to the Lieutenant Governor and encourage him to put them on the list. The last weeks have been pretty earth-shaking for anyone who cares about health or healthcare in Texas. And not always in a good way. Most of the developments have come out of the implementation of the Affordable Care Act. 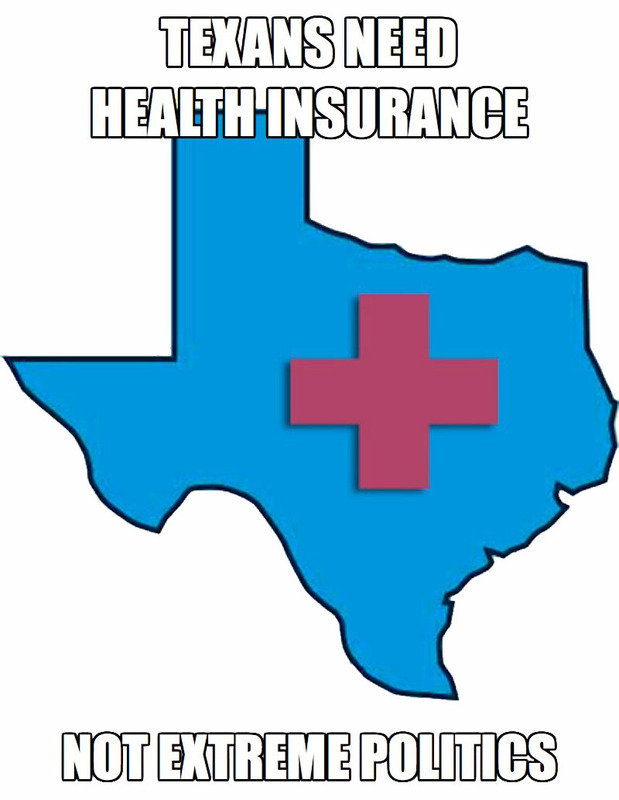 The good news is that the Health Insurance Marketplace is now open to help Texans sign up for health insurance. Last week, I joined a number of other community leaders to help spread the word about this opportunity to get health insurance – and the need for Texans to take advantage of it. Unfortunately, this great, crucial progress was obscured by raw, destructive politics, mostly from the Governor’s office. First, the Governor seems intent on making life as difficult as possible on healthcare navigators whose job it is to help Texans sign up for insurance. Worse still, the Governor appears to be using – or misusing – a bill I passed during the regular session that had the exact opposite goal: to make it easier for Texans to find insurance in ways that make sense for Texas. Watson alleged that the agency’s decision to schedule a stakeholder meeting to begin the rule-making process shortly after receiving the governor’s directive and to hold the stakeholder meeting on the day before the launch of the federal marketplace — “a critical day for navigators” — indicated that the agency’s rule-making process could be intentionally impeding implementation of the navigator program. The implementation of the Affordable Care Act also put a spotlight on another wrongheaded decision by the Governor – his refusal to expand Medicaid so more of our fellow citizens can access affordable, reliable healthcare. It’s past time to get serious about health coverage for Texans. The Affordable Care Act is law. Its primary components start to take effect Tuesday. Many of its benefits are already in place. The folks running Texas need to face reality. It’s time to put the health of Texans, and our economy, ahead of political histrionics. Right now, the law extends coverage for young adults, allowing them to stay on their parents’ insurance plans until they turn 26. It forbids insurance companies from turning folks down because of preexisting conditions. It expands coverage for preventive care and screenings. It lowers costs for people in the Medicare Part D “doughnut hole.” And it enhances consumer protections against insurance cancellations. The only questions left to answer are whether states such as Texas will create barriers to implementing these good changes and whether they’ll expand Medicaid to cover, in our case, about 1.3 million to 1.7 million more uninsured citizens. The federal government would pick up nearly all of the costs of the expansion. So far, the tragic answers are “yes” to barriers and “no” to more people being covered. The governor and others have made a political circus out of health care in Texas by turning their backs on tens of billions of your tax dollars that now won’t come back to Texas for your benefit. By refusing to secure health coverage for about 1.3 to 1.7 million Texans, those in control are costing Texas about $79 billion to $90 billion over 10 years in tax money we’ll send to Washington. A Perryman Group study found that expanding Medicaid would boost Texas’ economic output by $270 billion. And don’t forget, Texas already leads the nation in the percentage of residents without health coverage. We should put these billions of dollars to work keeping Texans healthy and cutting down on pricey emergency room visits that, in many cases, are ultimately paid for with local property taxes. And then there are all the lost economic benefits. Expanding Medicaid in Texas would create nearly 200,000 jobs, according to a study conducted by Billy Hamilton (Texas’ renowned former deputy comptroller) and the group Texas Impact. Clearly, the launch of so many important pieces of the Affordable Care Act means last week was one for the history books. I just hope it’s remembered for the right, healthy reasons – not the harmful, political ones.